For Max Payne, the tragedies that took his loved ones years ago are wounds that refuse to heal. No longer a cop, close to washed up and addicted to pain killers, Max takes a job in São Paulo, Brazil, protecting the family of wealthy real estate mogul Rodrigo Branco, in an effort to finally escape his troubled past. 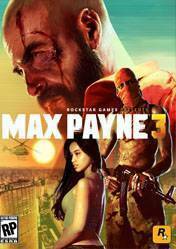 But as events spiral out of his control, Max Payne finds himself alone on the streets of an unfamiliar city, desperately searching for the truth and fighting for a way out. Featuring cutting edge shooting mechanics for precision gunplay, advanced new Bullet Time® and Shootdodge™ effects, full integration of Natural Motion’s Euphoria Character Behavior system for lifelike movement and a dark and twisted story, Max Payne 3 is a seamless, highly detailed, cinematic experience from Rockstar Games. Have You Played… Max Payne 3?